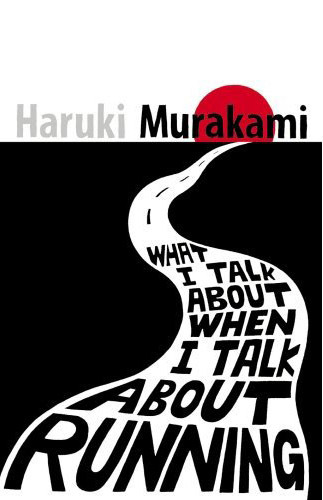 REVIEW: What I Talk About When I Talk About Running by Haruki Murakami. A review I wrote ages ago finally got published in The Star. Well, that review had a crazy journey from my keyboard to print, but I shall not dwell on the matter. This review was published in The Star on 28 August 2009. PEOPLE don’t usually associate running marathons with writing novels. Not Haruki Murakami. For this award-winning Japanese author, the act of training and eventually taking part in a marathon is no different from the arduous task of writing a novel. What I Talk About When I Talk About Running is Murakami’s attempt to coagulate and combine his thoughts on these two seemingly unrelated activities into one book. As a result, this book ends up being a memoir as much as it is about running and writing. The book is divided into chapters that are essentially journal entries, chronicling Murakami’s progress as he prepares himself for the New York Marathon in 2005. The journal entries note his moods, thoughts and observations while he trains and how he reconciles the lessons learnt during the training with the art of writing. This wishy-washiness could be the translator’s fault but I doubt it. I personally like this sort of thing, even if it is a bit strange and badly worded. To me, this sort of strangeness is exactly what appeals to me in a Murakami book, be it fiction or non-fiction. He’s a master of strange non-sequiturs and to be honest, I’m glad this book is not just a dry book about running with some thoughts about writing thrown in for good measure. It’s great that the weirdness that is the trademark of his novels can also be found in this non-fiction. This is a difficult book to recommend. Sure, marathon fans will love reading the details of Murakami’s training and preparations. But they might be turned off by the detours into writing and other wild tangents. Likewise, budding authors would love to hear Murakami’s thoughts on writing but would they wade through all that talk about running? Perhaps not. This book is obviously not for everyone. But it might just be the fix loyal Murakami fans need right now since there’s no word yet when (or even whether) there will be an English translation of his massive, double-volume 1Q84, released to great acclaim in Japan in May.